Fugue makes it super easy to programmatically define and deploy AWS environments on-demand...even complex resources like VPCs. Check out this short video showing how quickly you can create (and reproduce) an AWS VPC with Fugue. Put Fugue to work for you. Get started today for free: www.fugue.co/free. 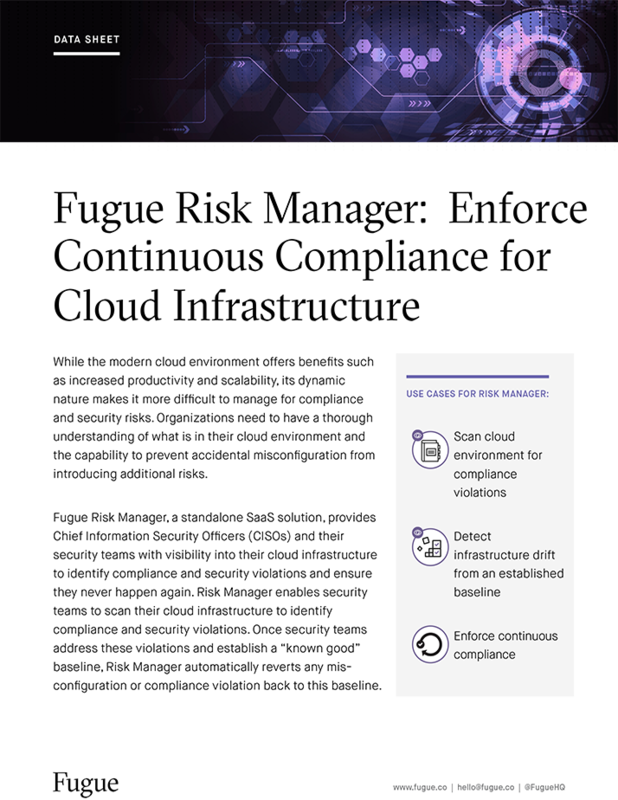 Find security and compliance violations in your cloud infrastructure and ensure they never happen again.